Oil train spills have caused some major damage to waterways on the east coast. The plan for our area is to have daily 100 car trains traveling over the Sierras through Auburn and down to a terminal in Benicia. 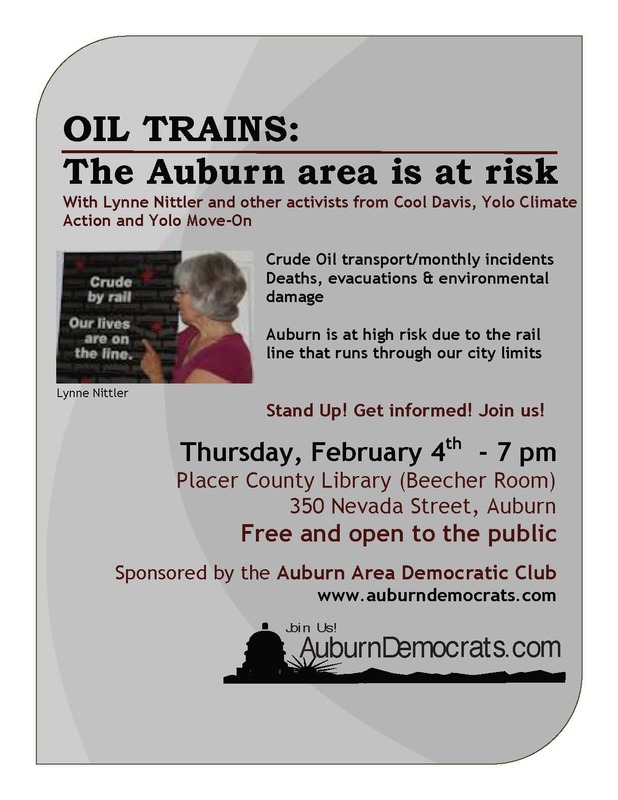 There will be a public meeting Feb 4 to talk about potential risks to the Auburn area.